Testosterone has been demonstrated to stimulate erythroid colony formation dose-dependently in vitro. Hence, androgens might have a promoting effect on erythroid colony forming units in bone marrow (Moriyama and Fisher 1975a). 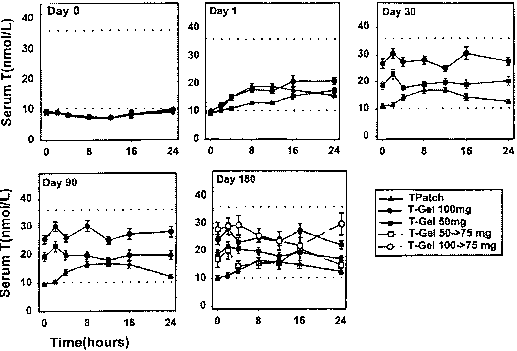 As trials in rabbits demonstrated, testosterone may directly act on these colony forming units to enhance their differentiation into EPO-responsive cells, causing an increase of nucleated erythroid cell numbers. Thus, EPO is required to further increase the maturation ofthese cells (Moriyama and Fisher 1975b). There is also some evidence that, determined by the direct action of androgens on the cellular cycle of bone marrow stem cells, a prevailing differentiation towards the erythroid series and a resulting decrease of differentiation into leucocytes is caused by testosterone (Kozlov etal. 1979). This seems to be a pivotal and initial step of androgen action in erythropoiesis as has been demonstrated by bone marrow biopsies in some patients with renal failure receiving testosterone (Kalmanti etal. 1982). Activation of androgen receptors in erythroid cells appears to be necessary for testosterone to develop erythropoietic effects, as androgen receptors have been demonstrated in bone marrow erythroid cells and, as a consequence, the effects of testosterone can be completely abolished in cultures from rats pretreatedwith the androgen receptor antagonists cyproterone or flutamide. Interestingly, the effects of erythropoietin on further differentiated erythroid colony proliferation were also completely blocked by pretreatment with androgen receptor antagonists, suggesting a permissive effect of androgens on EPO action (Malgor etal. 1998). Since androgens may increase the sensitivity of the erythroid progenitors to erythropoietin by an independent but synergistic mechanism, effects of treatment by EPO in patients with renal anemia can be improved by additional androgen administration (Ballal etal. 1991; Gaughan etal. 1997). A central role in the processes activated by androgens can be attributed to the endogenous retroviral mink cell focus-forming (MCF) genes which are involved in the regulation of bone marrow hemopoietic progenitor cell proliferation. The p15E protein encoded by one of the MCF genes is produced by early hemopoi-etic progenitors and expression can be stimulated by testosterone. Testosterone effects are mitigated when the respective gene expression is blocked by antisense-oligonucleotides (Chernukhin etal. 2000).